Almost every time England select a squad, Jurgen Klopp has something to say about Gareth Southgate, someone we think it’s pretty clear he has virtually no time for. 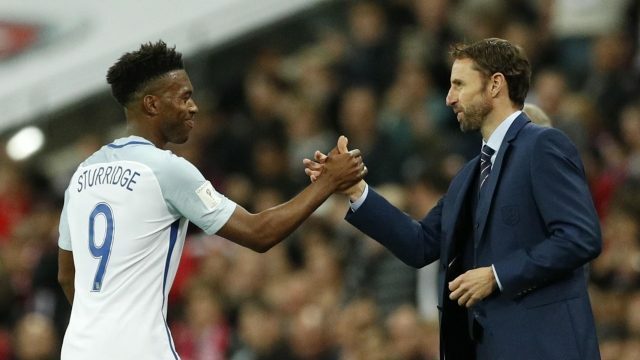 On Thursday, Southgate announced his England squad for the upcoming friendlies with Germany and Brazil and it shocked many. Not only did he choose Joe Gomez, Tammy Abraham and Ruben Loftus-Cheek, but he ousted stalwarts Daniel Sturridge and Alex Oxlade-Chamberlain. Klopp has said this is not something in his control, but suggested that if the England boss had actually watched the pair recently, they would have been picked. “It is not our decision but if Gareth Southgate saw the last few games I think for sure he could have invited all three of them,” Klopp told ESPN. “Gareth makes his decisions, I cannot change that. Both of them would play in other English Premier League teams quite regularly. “If he makes it now like this it could be difficult in the future if he sticks to this plan 100 percent — not for us but maybe for England. “Daniel had a few injury problems and was called up [in the past] because he is still the striker everyone thinks about. If he [Southgate] thinks he doesn’t need him I cannot change it. In many ways, England’s loss is our gain. Following the West Ham game, Klopp will have two weeks on the training ground with Sturridge and Ox – something that is normally denied of him. What’s more, Mo Salah hasn’t been selected so will be around, as will first-teamers like James Milner, Joel Matip and Loris Karius, who for various reasons, are not with their country. Adam Lallana is also returning from injury, so Melwood will be an exciting place. Hopefully, we can beat West Ham today and then bring back our best players from injury for the Southampton clash on November 18.